Upholstery can be cleaned at home or by a professional. before starting any cleaning process is a must. If your living room sofa, love seat or chair are looking scruffy or weary and buying a new furniture isn’t in your consideration now, you can freshen it up by yourself with our at-home upholstery cleaning tips. Make sure you use your vacuum upholstery attachments to carefully clean up movable pieces of dirt, dry soil, pet hair and other remains that will make it dirtier later on. Dirt, food, pee or poop (from pets or babies), wine spills, coffee, juice and other types of stains can be well cleaned with steam cleaning method. Tougher spots will be difficult to remove from the first time and may need more than one treatment. Oil-based or other hard to remove stains, chemical cleaners will be needed. Check your furniture for fabric care tags or instructions, they usually tell you how the furniture must be cleaned. If you can’t locate the tag check the furniture manufacturer’s website. Perform a spot check with small, hidden section of the textile by cleaning it with cleaning product to check if any damage and color fastness will appear. Here is a list of the most common upholstery tag labels and what exactly they mean. S - Means "solvent" and can only be cleaned with solvent or water-free product, dry cleaning products can be used. Using water based produce might damage the fibers, leave water stains and fade the color. X - To clean fabric with that tag is a hard job even for the experts because water or standard dry cleaning solvents can not be used. .
Once you have found out that your upholstered furniture are cleanable and your have determined the cleaning method now is time to get to the cleaning process. For regular dirt and soil you can use one of the upholstery cleaning spotters they sell in the stores. It’s always better to use green or organic products if you have kids or pets in the house. After you got the right products the first step will be to spray the dirty areas of spots with it. Let 10-15 min working and meanwhile you can scrub that area with soft brush. Clean the treated area with white cloth and make sure you remove all of the chemicals you sprayed with. The cost of furniture cleaning products can really surprise you. Some of them might cost from $15 up to $20 per bottle, and if you are doing bigger jobs, you will probably need more than one. All of the products they sale in the stores are not professional grade but they might do the job for lightly soiled upholstery. If your sofa or loveseat are heavily soiled or haven’t been professionally cleaned for years would be better not to even try to clean it on your own. Most likely you will not get a good result. 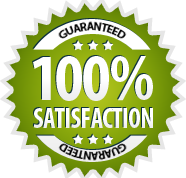 Save your time and hire professional upholstery cleaning company. © 2019 D&G Carpet Cleaning New Orleans. All Rights Reserved.